In one study, all of the woman that took part in the study noticed a change in one or more of the parameters. Sculpts a more youthful jawline and eye area—without surgery! 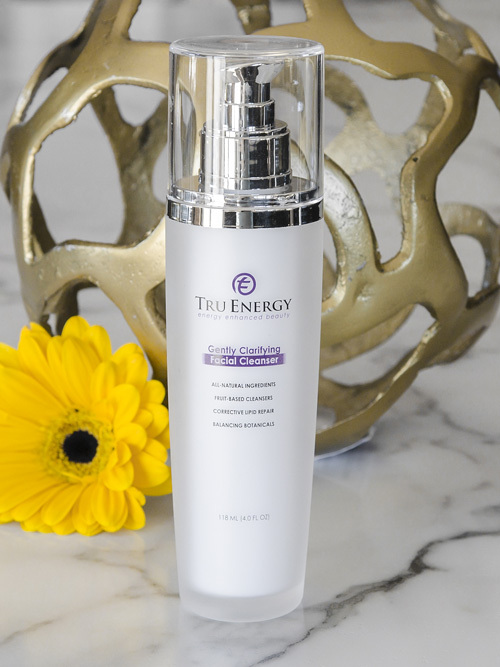 FREE standard Energy-Optimizing Wand included with your purchase of the Tru Energy All-Natural FaceLift creams & cleansers. 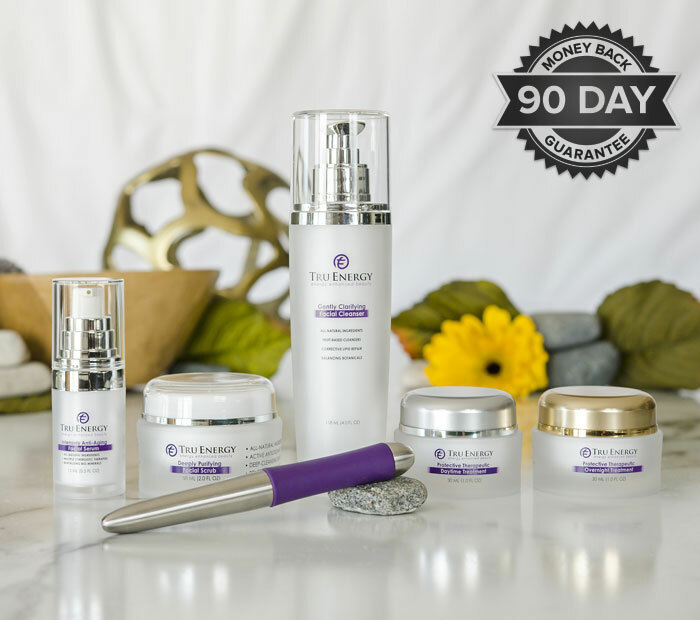 Tru Energy's breakthrough All-Natural FaceLift System has been scientifically designed to help counteract and rejuvenate the visible signs of aging in your face and neck without plastic surgery, dangerous chemicals, injections, or painful treatments. 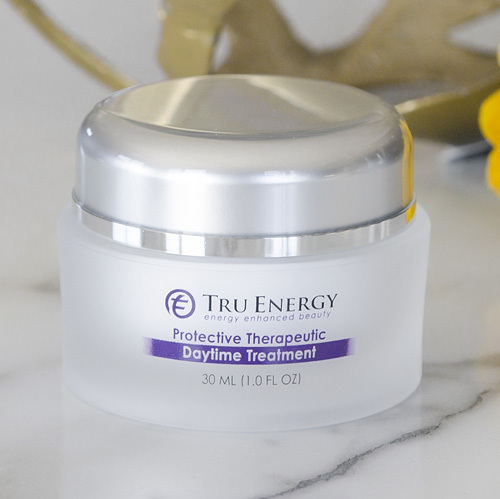 What sets Tru Energy apart from other anti-aging facial creams is that Tru Energy not only improves the beauty of the skin, but it also addresses the deeper levels that cause many of the signs of aging. Whether you are looking for an effective anti-aging facial cream, daily facial cleanser, or a comprehensive non-invasive wrinkle reducer that can help restore your vibrant, youthful glow, this is the skincare package for you. International shipping fees may apply. 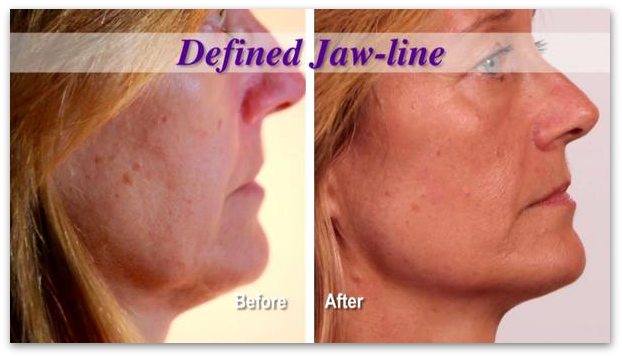 Get a FREE standard Energy-Optimizing Wand with your purchase of the Tru Energy All-Natural FaceLift Daytime System. Tru Energy is the most advanced line of all-natural skincare products you’ll find. 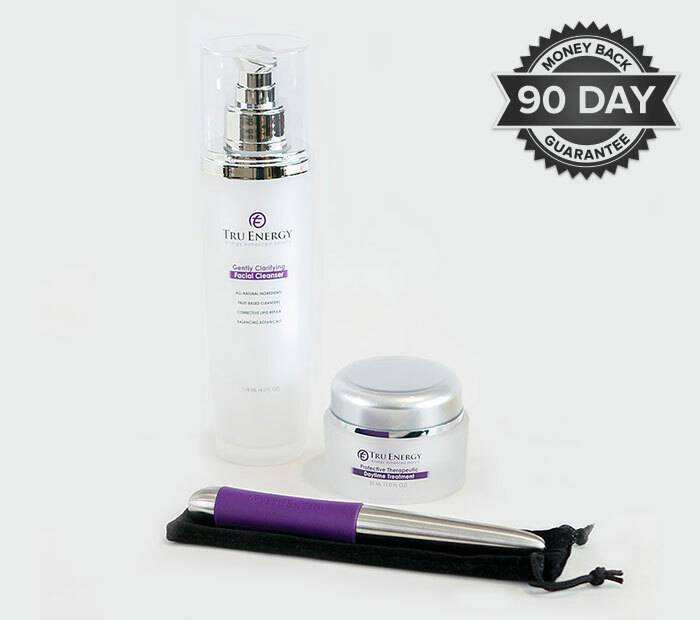 When used with the Energy Optimizing Wand, you’ll look younger and more radiant… and your skin will feel softer and smoother in 30 days or less. 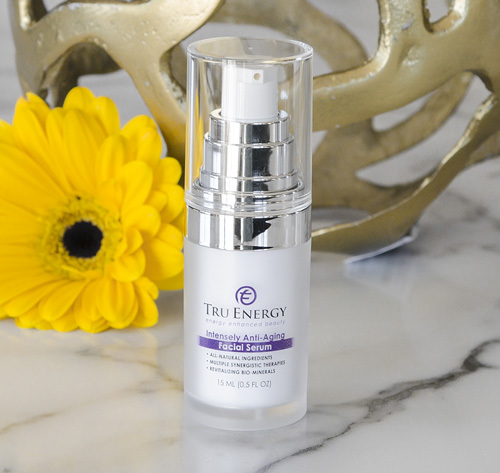 You’re going to love how Tru Energy transforms your skin so you never look your age again. But in the unlikely event, you’re not satisfied with the results I’ve promised you, then return my All-Natural FaceLift System within 90 days – even if the jars are completely empty. I’ll refund 100% of your purchase price. I’m happy to make this guarantee so you can try Tru Energy absolutely risk FREE! "My husband has told me on many occasions that the "system is working"! I can't imagine what he might say when I get back on the full Tru Energy products and regimen! I have been anxiously awaiting for these amazing All-Natural (very important to me!) Tru Energy products to come back in stock. Even my husband is going to start on the products! Thank you Cathy, for introducing these amazing products. I can't say enough about them! I'm so excited!" "Before I started using Tru Energy, I was beginning to show my age, especially around my mouth. After 30 days of using Tru Energy, I could see much improvement. The lines above my mouth have disappeared, and the "marionette" lines are much less noticeable. My husband says I look years younger! All this was just using the day cream, serum, and wand. I am THRILLED, and can't wait to see the results once I start using the whole system! Thank you, Tru Energy! *These are real testimonials from real customers; however, we cannot claim that these results are typical for all customers. What is included in the Tru Energy FaceLift System? • Plus we're giving you the Energy-Optimizing Application Wand with your purchase today, at no additional cost. What are the ingredients in the Tru Energy creams, scrub, cleanser, and serum? Do you recognize words like rose, honeysuckle, olive, orange, and willow? Of course you do. How about shea, white tea, and watermelon? These are the type of ingredients you'll find throughout the Tru Energy line. Each ingredient is specifically chosen to hydrate or cleanse your skin, or stimulate your collagen and elastin production, or promote your skin's longevity...and so much more. Infused with fruit-based cleansers that gently remove makeup, dirt and environmental pollutants to leave your skin smooth, soft and fresh while rare botanical extracts balance the skin’s acid mantle and help repair its lipid barrier. Exfoliates dry, damaged skin with gentle Jojoba Beads while purging deeply set toxins and sebum. Helps decrease pore size, even skin tone, and reduce the appearance of redness and dark spots, restoring a radiant and youthful look. Features a rare Swiss Apple Stem Cell Complex clinically proven to stimulate the skin’s own collagen and elastin production, helping rebuild new healthy tissue at the deepest levels. This balanced formulation helps shields skin from the harsh effects of the sun throughout the day. Multiple anti- aging actives deliver essential antioxidants and vitamins, restoring and rebuilding the delicate chemistry of your skin's natural functions while a broad spectrum moisturizing complex provides immediate and long term hydration. How do I use the Tru Energy FaceLift System? The creams, serum, scrub and cleanser are the best of the best, but the real star of the entire system is the Energy-Optimizing Wand. There is simply nothing like it. being used according to the instructions in the Tru Energy Facial Map (included with the System) as an acupressure device to stimulate and cleanse the lymphatic glands in your face and neck, it also hyper-activates the topical skincare products, allowing them to maximize their critical functions at the deepest levels. 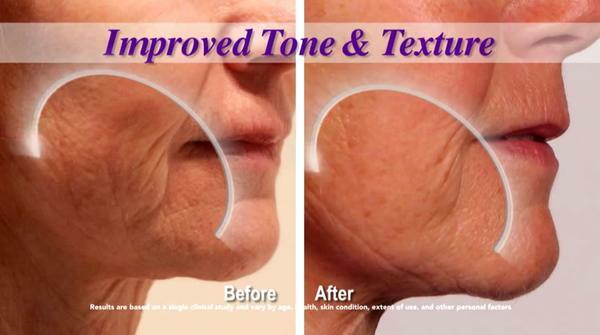 Your Tru Energy All-Natural FaceLift System will include the Tru Energy Facial Map. We also provide a video tutorial on the website (truenergyskincare.com). When I created Tru Energy, I created it for myself. If I didn't see results, there was no reason to share it with others. Once I knew that it worked for me, I commissioned a study with Dr. Peter Pugliese, a legendary and well-respected skincare expert. He called me 10 days into the study asking me what in the world I had put in the creams that had such an impact so soon into the study. Of course, I knew that it was only in conjunction with the Energy-Optimizing Wand that there was such a dramatic effect. While I can't make any promises—everyone is unique and responds differently, just like everything in life—give it a try for yourself and see how it works for you. With my 90-day guarantee, you can't go wrong. You really have nothing to lose. 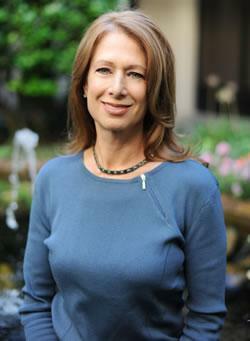 Cathy Goldstein, A.P. is Director at Integrative Health and Allergy Center in Jacksonville, FL. Her mission is to provide trusted wellness information, resources, tools and services for obtaining natural health and natural beauty—utilizing over 25 years of functional medicine in traditional Chinese medicine, nutrition and true holistic medicine. She is a speaker, educator, researcher, and the developer of the Tru Energy skincare line. You can change or cancel a monthly subscription anytime. Visit truenergyskincare.com/contact for the best ways to reach us. You can also easily make changes within your Tru Energy customer account when you set one up during purchase. *Yes, you may return used product! If you do, we trust that you sincerely tried it for at least 30 days and didn't see any measurable results. If that's the case, the product will be refunded upon return, less shipping, handling and any purchase protection options you added to your order. We stand by our product! The statements on this website have not been evaluated by the Food and Drug Administration. Products are not intended to diagnose, treat, cure or prevent any disease. Results may vary. 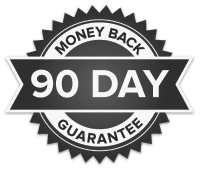 The information contained on this website is provided for general informational purposes only. ©2018 TruEnergy Skin Care - Do not copy. All rights reserved.